This simple easy to wear short necklace is 17" in length (43 cm) and generally sits on the neckline. 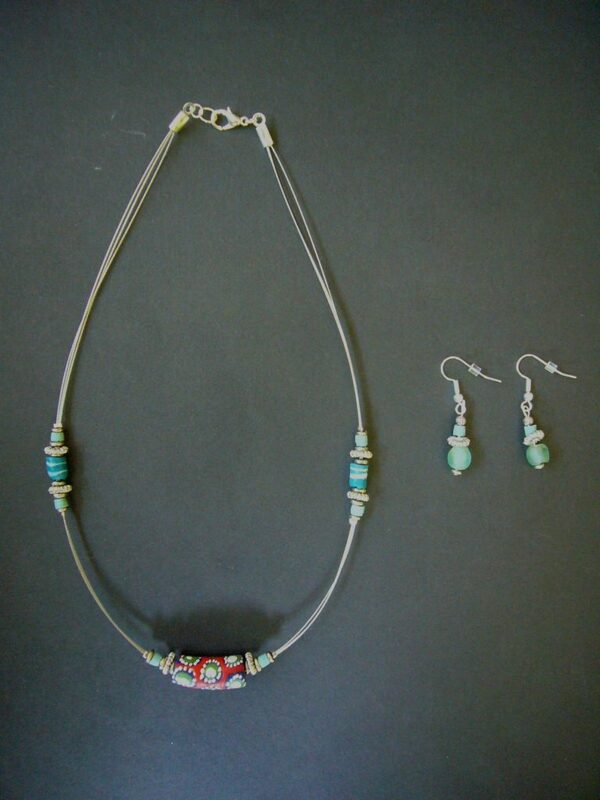 Red, Blue and Aqua decorated trade beads, inset with antique pewter decorative bead and finished with a high quality silver sprung clasp. 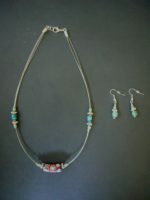 Matching earrings complete the set, making a delightful and original gift! Comes complete with box.